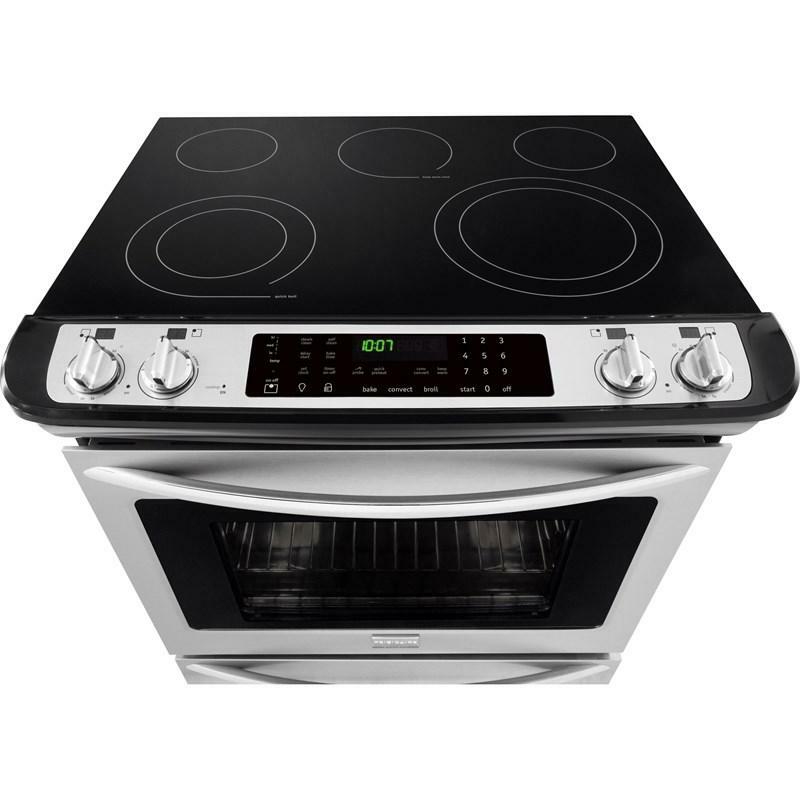 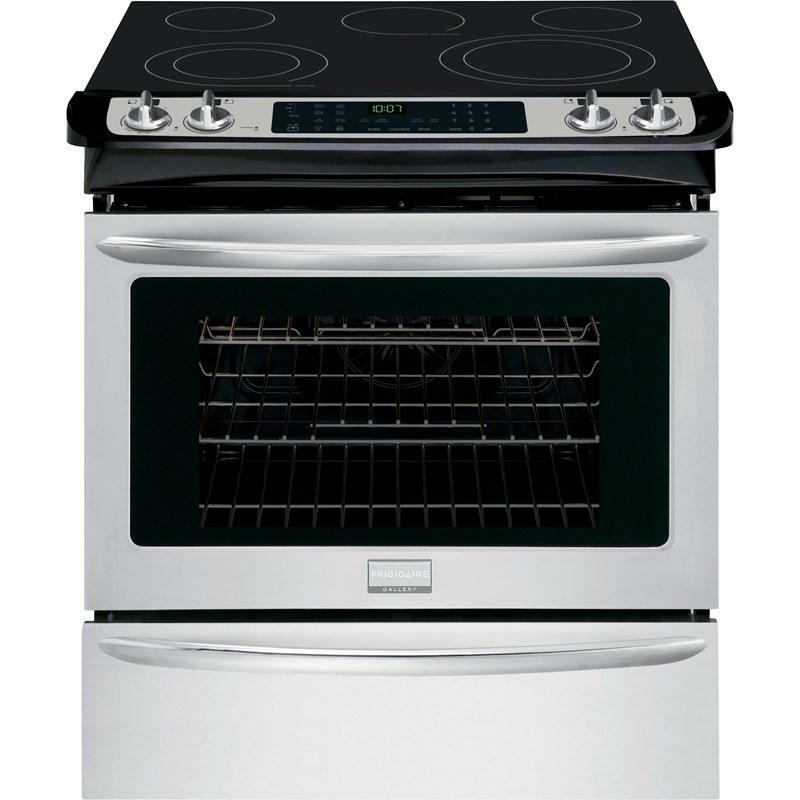 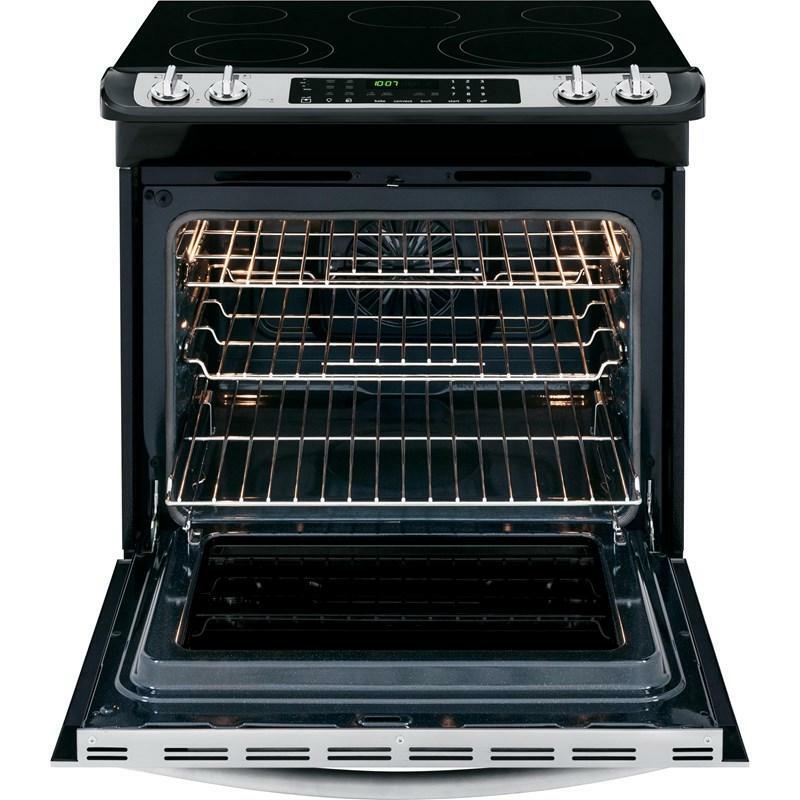 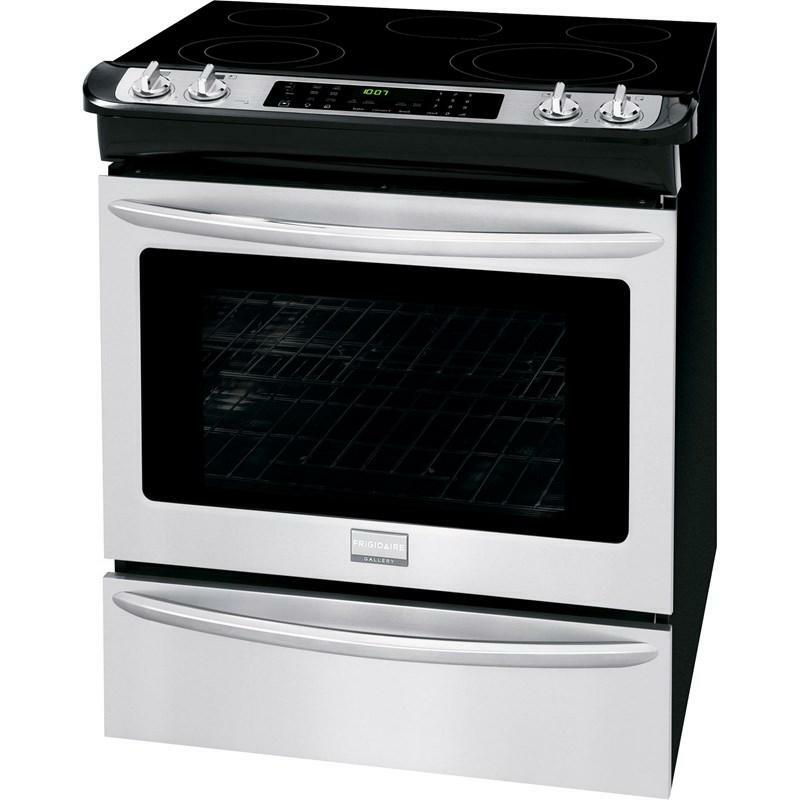 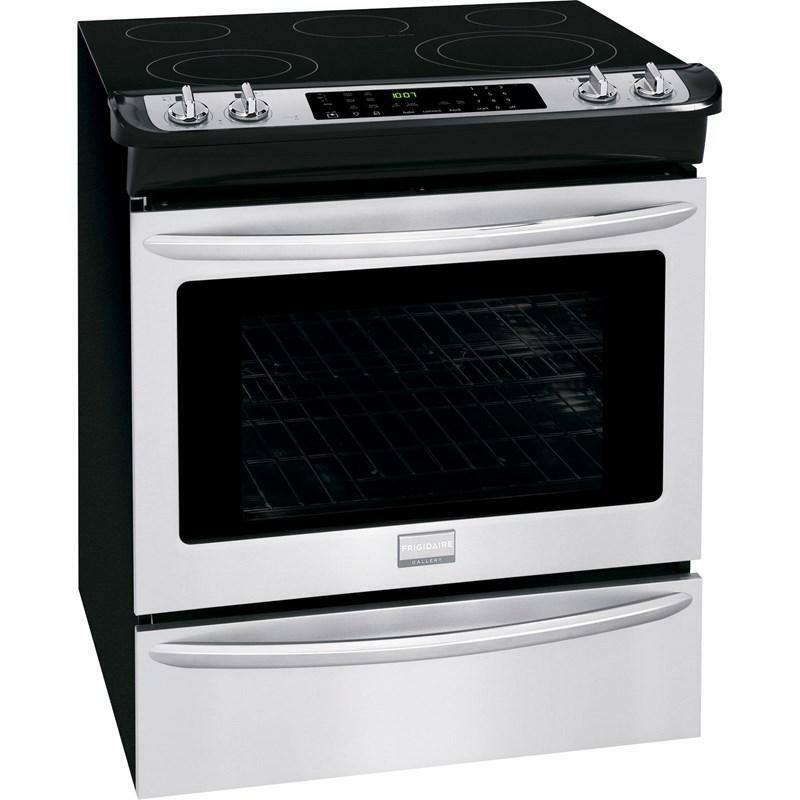 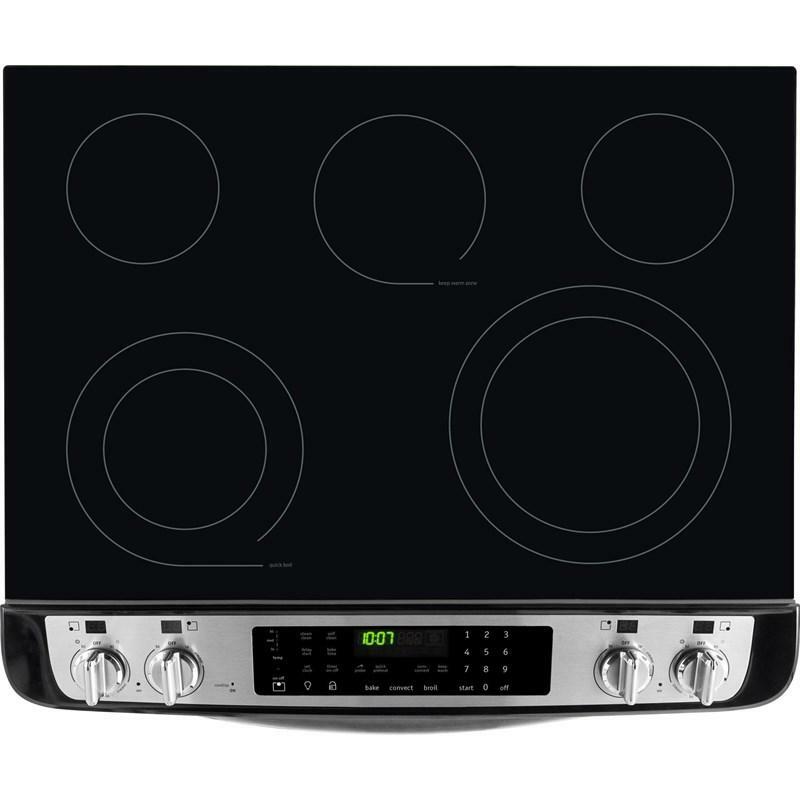 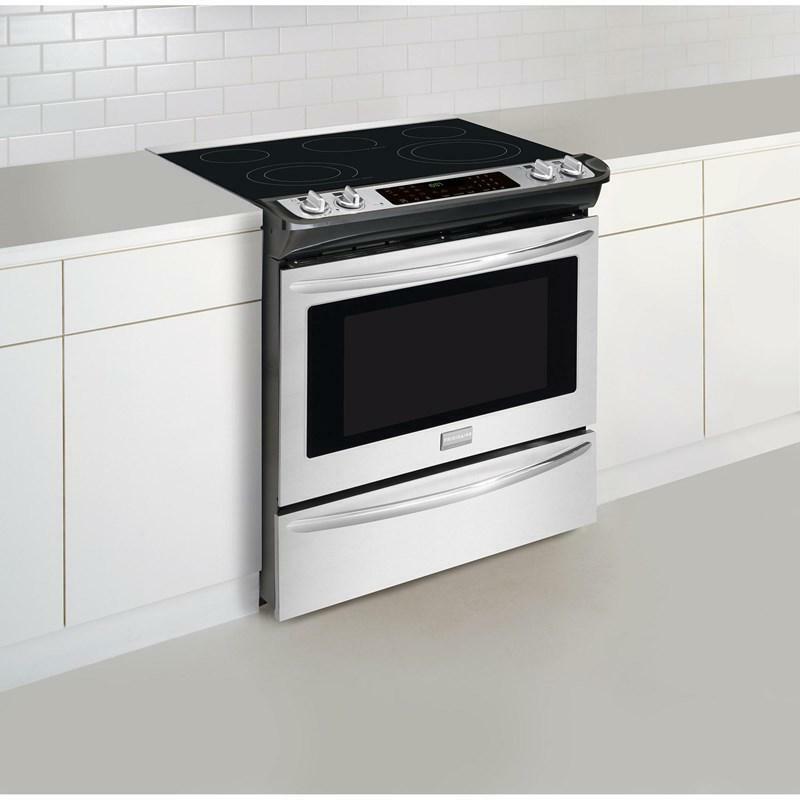 Frigidaire Gallery 30" slide-in electric range. 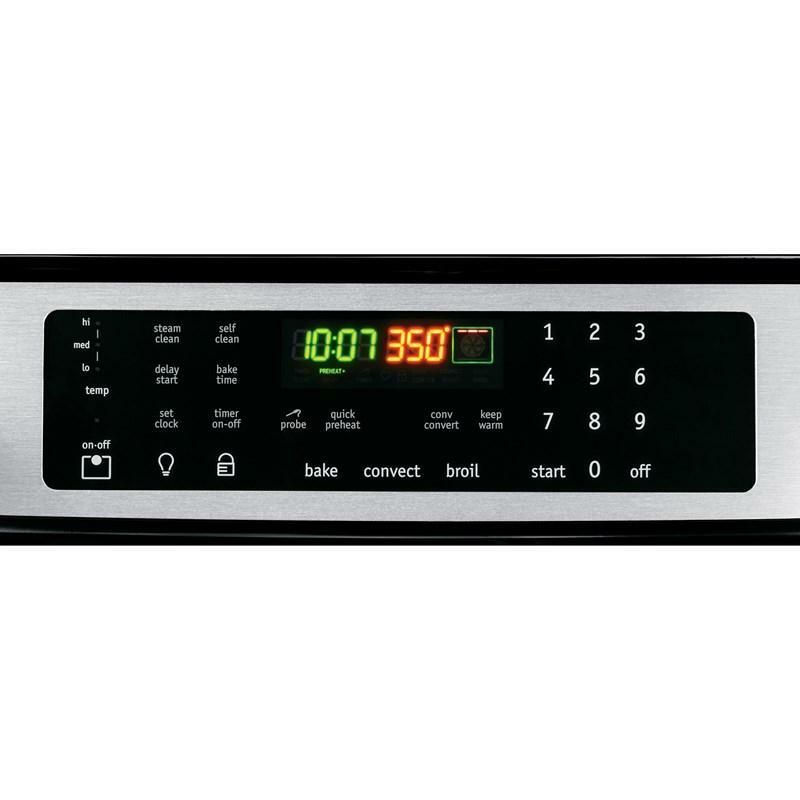 This range features easy-to-use one touch buttons so you can cook pizza or chicken nuggets, add a minute to the timer, or keep foods warm, with the touch of a button. 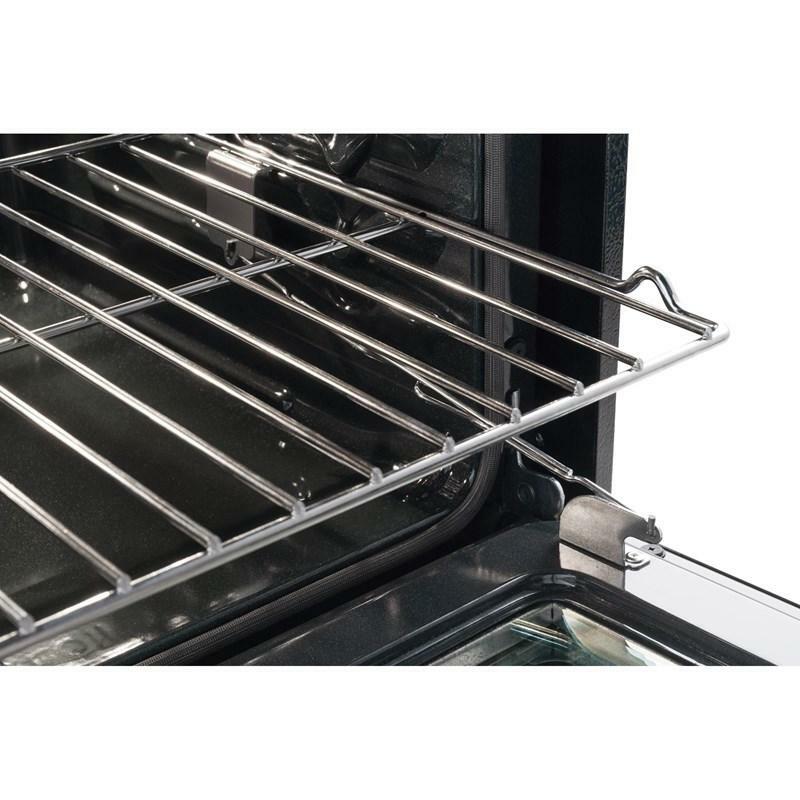 SpaceWise® expandable elements expand to meet your cooking needs. 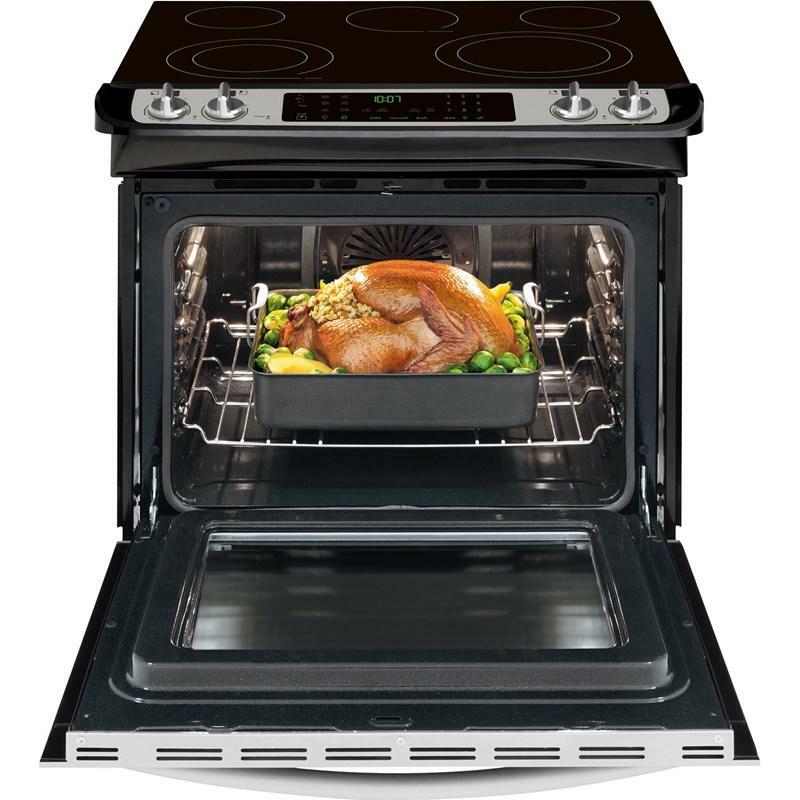 Effortless™ convection takes the guesswork out of convection cooking. 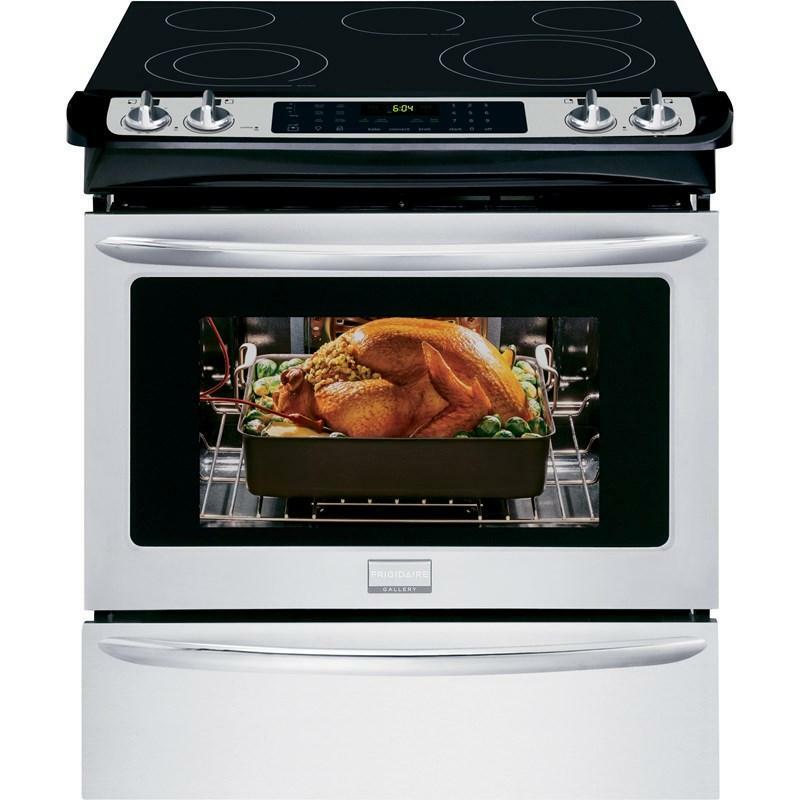 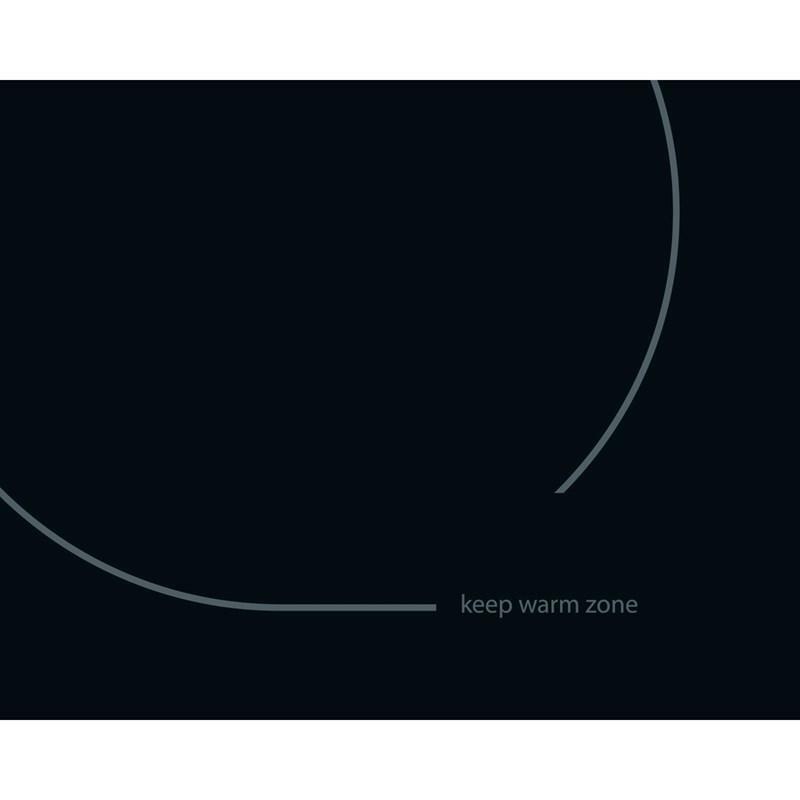 The oven automatically adjust standard baking temperatures to convection temperatures for consistent results. 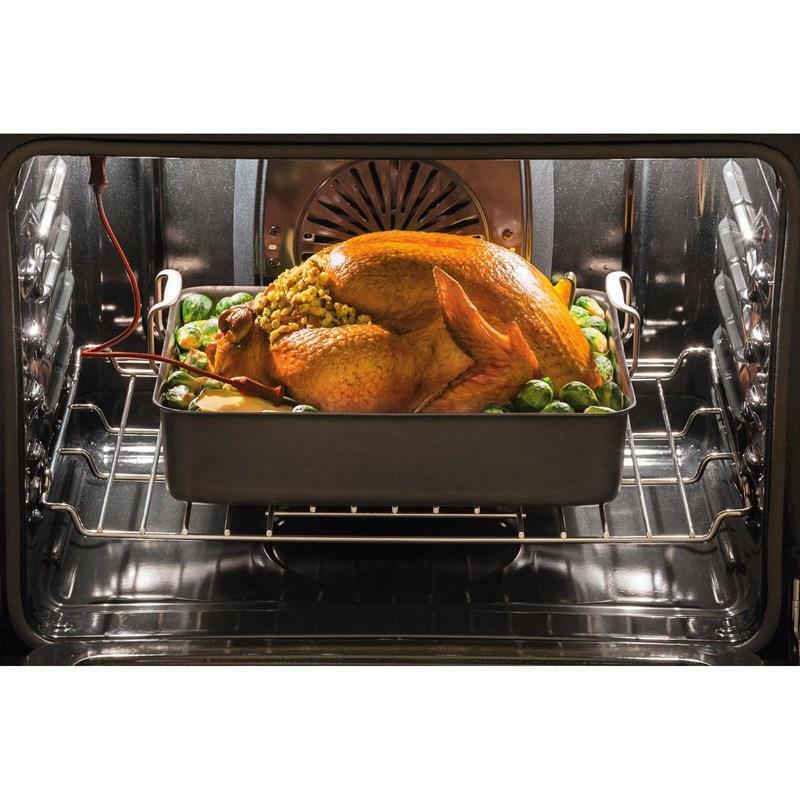 Additional Dimensions • Depth with door open 90°: 47 9/16"
• Cutout height: 35-7/8" - 36-5/8"
• Cutout width: 29-15/16" - 30-1/16"
• Cutout depth: 21-3/4" - 22-1/8"
• Oven Interior (HxWxD): 17-1/2" x 24-1/8" x 18-3/4"